Google Cloud Platform (GCP) now serves over one billion end-users through our customers’ products and services. And today I’m happy to say that we’re investing even more resources to bring these tools to higher education. We’re excited to offer universities the same powerful infrastructure, data analytics and machine learning that we use to drive innovation and performance. We believe that universities can benefit from Google Cloud Platform in three areas: research, infrastructure and teaching. In research, GCP big data and machine learning tools can power experiments and analyses that weren’t even possible just a year ago. GCP frees academic IT organizations from the overhead of managing infrastructure, provisioning servers and configuring networks, and in teaching we enable professors to teach modern cloud computing subjects on Google Cloud Platform. We’re committed to working closely with users to understand their needs. 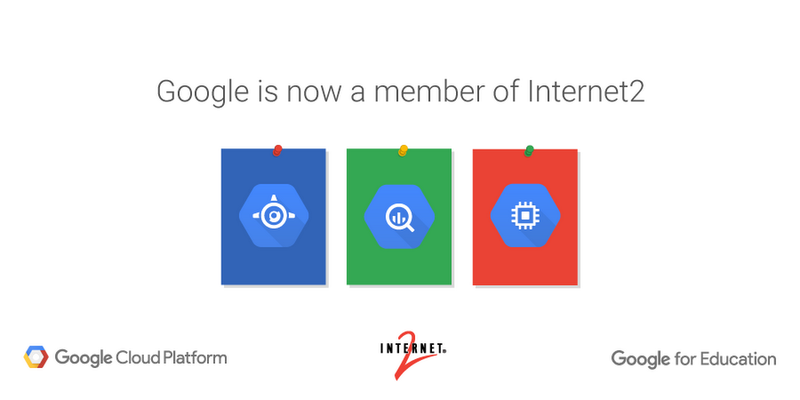 With the aim of exploring opportunities for the cloud with universities, Google is pleased to announce that it has joined Internet2, a US-based not-for-profit, member-driven technology and advanced networking consortium dedicated to advancing new innovations and scientific discoveries for the next generation of research and education. 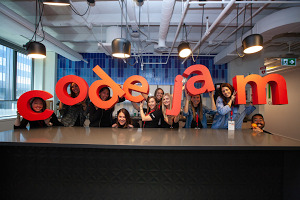 Founded in 1996, Internet2 provides a collaborative environment for U.S. research and education organizations to solve shared technology challenges, and to develop innovative solutions in support of their educational, research and community service missions. Internet2 operates a research and education network and serves more than 317 U.S. universities, 70 government agencies, 42 regional and state education networks, 80 leading corporations and more than 65 national research and education networking from over 100 countries. Internet2 and Google will work with universities across the United States to explore how GCP can better serve higher education. We hope to develop projects that address the higher education community’s needs around big data and machine learning technologies that can be met by Google’s cloud tools. In June we announced Google Cloud Platform Education Grants, and I'm pleased to share that hundreds of courses have been awarded free credits for their students. 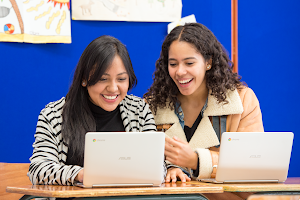 GCP is helping universities level the playing field, providing students with equal access to best-in-class compute resources. For example, at California State University, San Bernadino, Professor Vasilia’s students are learning about networking and cybersecurity by using GCP’s API’s to program database information. Students are learning to display geolocation signal strength heatmap information for internet access points, set up virtual private networks in the cloud, test firewall rules, set up network segments and read machine data between networks using GCP’s virtual network infrastructure. Fall classes are just underway, and we can’t wait to tell you more about what students learn and create with GCP tools. Professors teaching courses in computer science and related fields at universities in the US can still apply for grants for classes this year or next year. This week we’ll connect with hundreds of universities at the annual EDUCAUSE conference. If you'll be at the conference in Anaheim, visit us at booth #1800. There, you can see demos of GCP, G Suite for Education (formerly known as Google Apps for Education), Chromebooks, Chrome digital signage, student and faculty programs and the latest in virtual reality. You can also join us for “Machine Learning 101” Wednesday 2:30-3:20pm PT in Room 210D. Learn more from universities who are benefiting from Google technology by attending our session “The Impact of Collaborative Tools - Lessons from Universities Using G Suite for Education (formerly known as Google Apps for Education)” on Thursday at 1:30-2:20pm PT in Room 210C. We're committed to strengthening our partnership with the broader higher education community, and look forward to seeing the results.